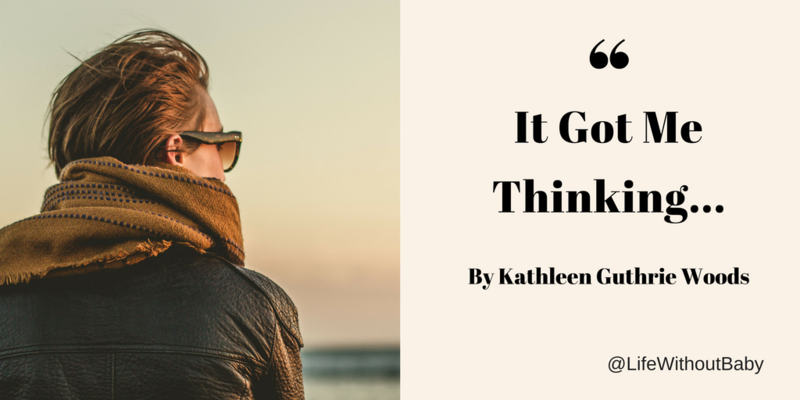 Good post Kathleen – always gets me thinking – I think I would still feel a sting. I do admit though – the fertile have no really appreciation for the darkness we have been lost in (so don’t quite understand the “trade”) and equally I will admit that mostly I’ve seen only the joys of raising my own children – and not the relentless stress and worry or the reality! So for me – with a weekend of fun to look forward to (my birthday next week), we are off to a gin festival tonight with friends and we are over to my FIL for a birthday meal tomorrow night. I’ve order myself lots of new clothes from my husband too! So – today my grass is green and I’m happy. I also went to the gym at 6:30 am this morning and played netball with work colleagues yesterday lunchtime – things, I would no doubt not have had time for. It by no-means makes up for not having my longed for children but I’m feeling good about filling life with good things for me! This is my first time posting something on this website/blog. I live in the U.S. Texas to be more precise. I am 30 years old. Female. And married, but not legally. I live with my spouse. I have a rabbit, which now I am like, why did I even get her! Rabbits chew on everything :/ But my husband, the bear(that’s what I’ll call him), will not give her away. That is very kind of him. And so, I respect his wishes. I am writing today because I have a feeling that my husband and I will never have children. I have been with him for almost three years. We turn three years next year in Feb 2019. I don’t think he wants to have children with me. This website truly helped me to understand why my husband doesn’t want to have children with me. So now, I am stuck in deciding to get a dog to replace my future child or children and that either makes me extremely angry or upset (more like sad), so tonight I had a moment. My moment was that I had to accept never having children with my husband or ever. And that just hurts. It hurts because I feel like I have failed as an individual and as a person who can bear children since I am a woman. So I am writing in this blog to not feel alone bc I feel pretty much alone. You see, I grew with my mom and that’s it. I don’t have a sister to cry and lament this with. I don’t have a brother. I don’t have an aunt or aunts. I don’t have an uncle or uncles. I don’t have a father to cry on on his shoulders. I don’t even have a grandmother or grandfather. All I have is a mother who I don’t want to burden with already. She already has a hard life. God bless her. I feel pain. I fear what will happen- a life without children, a life without a baby. Raising children can be hard, but I guess the childish part of me says, “Well, why can’t I have children?! !” [Basically speaking in a tone of offense.] I don’t know what to do with my life..like am I supposed to be happy that I’ll never have children? Why should I have children? Will having a child really make me happy? Or maybe I would rather get a dog, so I’ll never have to think about or consider having the “baby-option” open. I’m glad you found us here. I’m so sorry to hear what you’re going through. You are definitely not alone here. Please have a look around the site at some other posts and know that you are safe talking openly here about this.